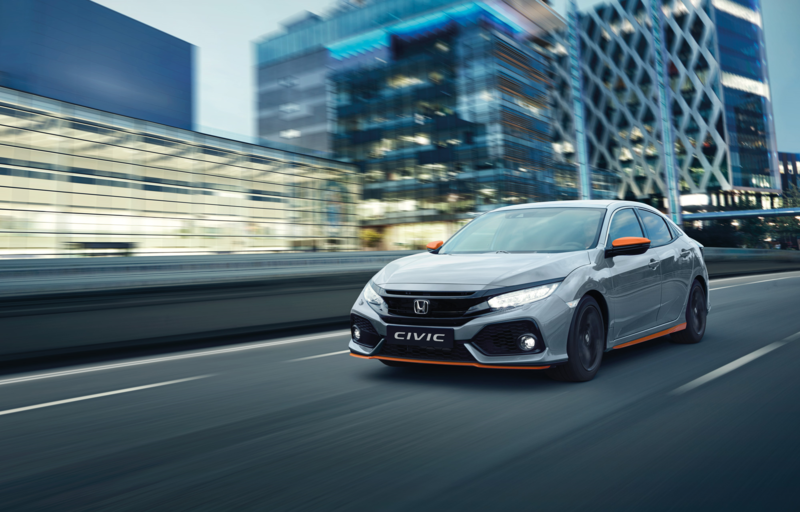 Your Civic loves life. 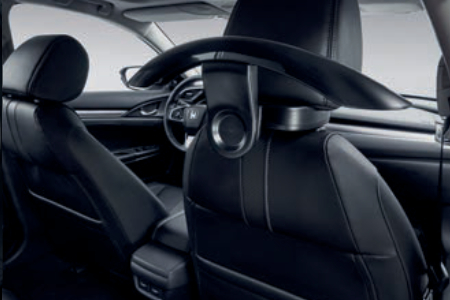 Whether it’s a commute to work or the start of a holiday, it’s always ready to help you enjoy doing all the things you love to do. 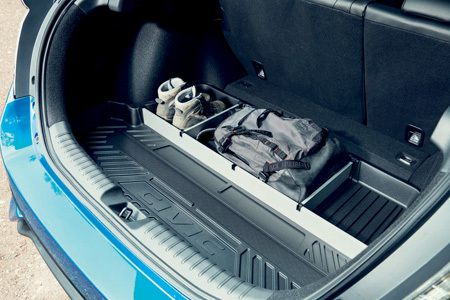 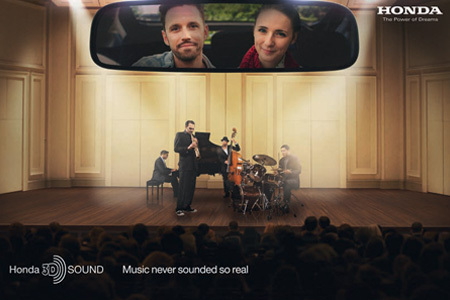 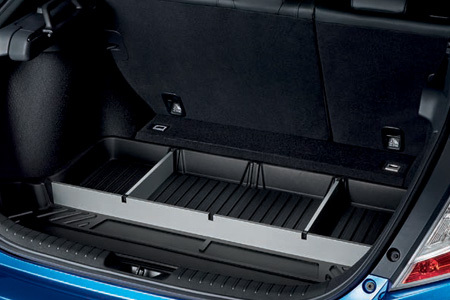 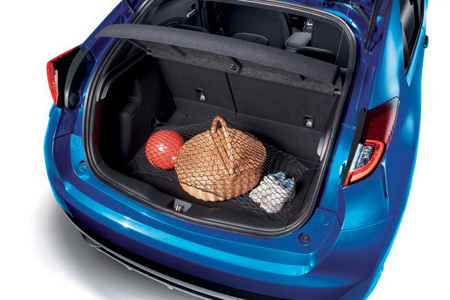 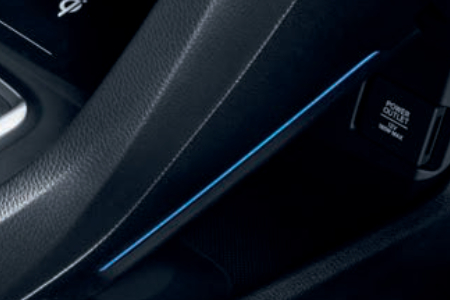 That’s why we have created a range of Honda accessories that not only help you get the most out of life, they allow you to get the most out of your Civic. 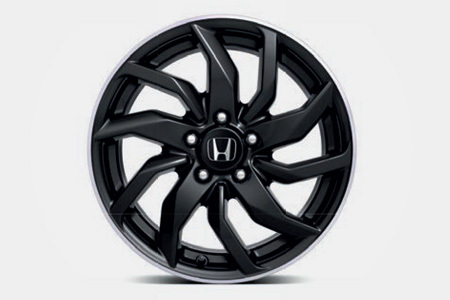 They are designed and built to the same exacting standards as every Honda. 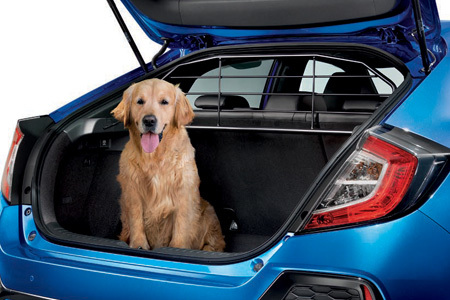 So they are durable, safe, secure and guaranteed to fit. 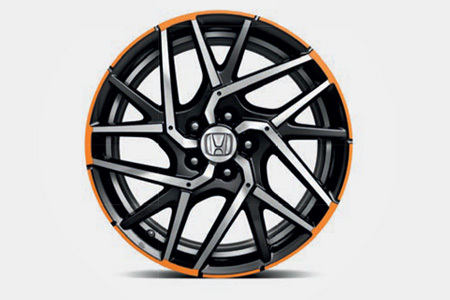 All you need to do is choose the right ones for you. 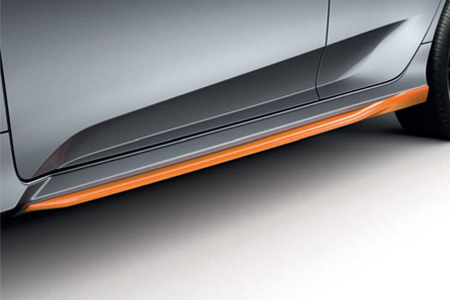 Express your individuality with the distinctive and bold Orange Line. 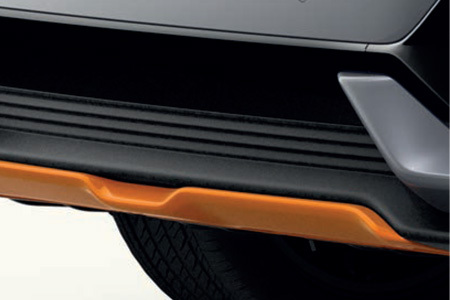 Pack includes: Front skirt, side skirts, rear diffuser, mirror caps and interior dashboard accent - all in Tuscan Orange. 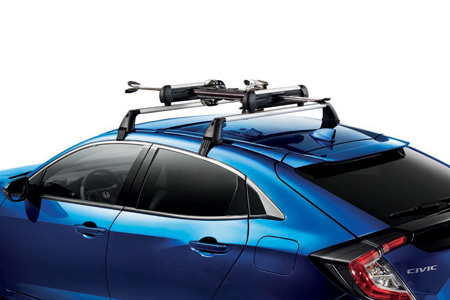 These items are also available as single options. 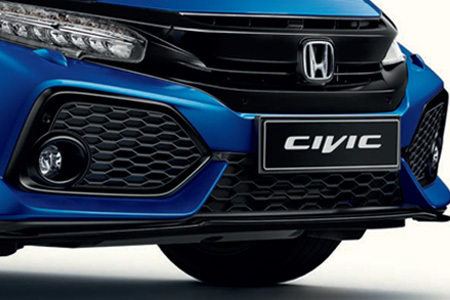 Create a dramatic and even more sporty appearance to the front of your Civic. 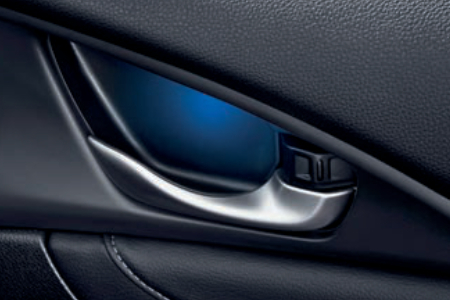 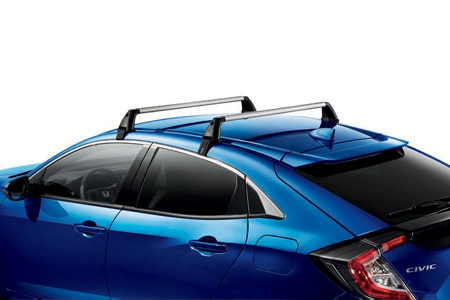 An eye-catching addition to enhance your Civic’s impressive rear lines. 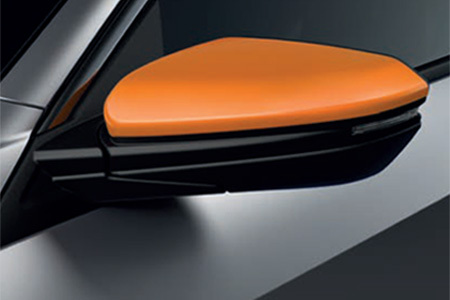 These striking mirror caps are designed to grab attention. 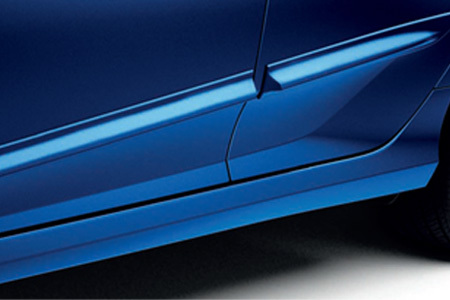 Sculpted side skirts accentuate your Civic’s dynamic proﬁle and ground-hugging look. 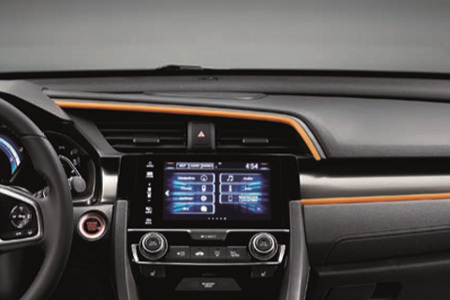 Continue the bold, individual look inside with a dash of colour and style. 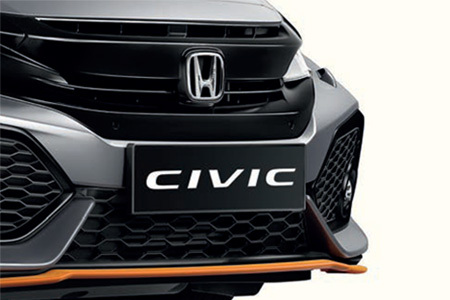 Add a dramatic edge to your Civic with the Black Line. 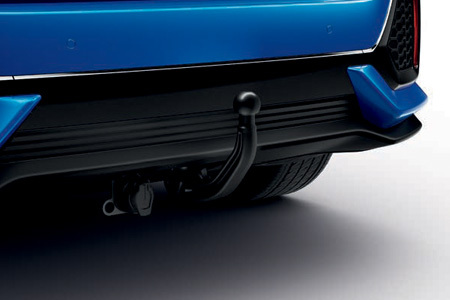 Pack includes: Front skirt, side skirts, rear diffuser and mirror caps - all in Berlina Black. 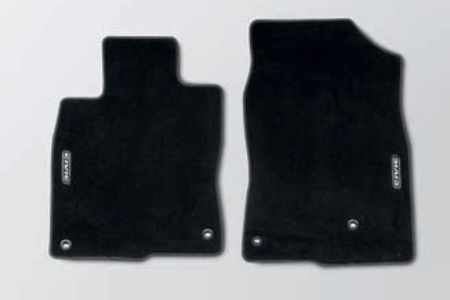 These items are also available as single options. 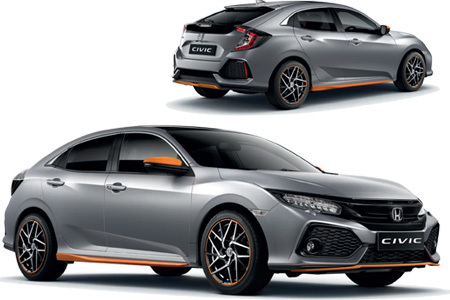 This eye-catching front skirt emphasises the Civic’s striking design. 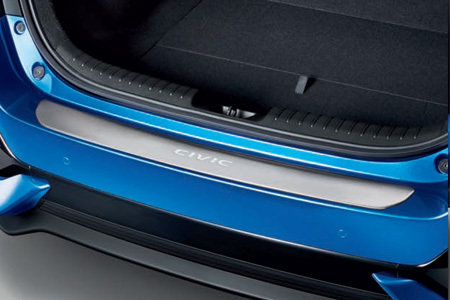 Add an even more sporty accent to the rear of your Civic. 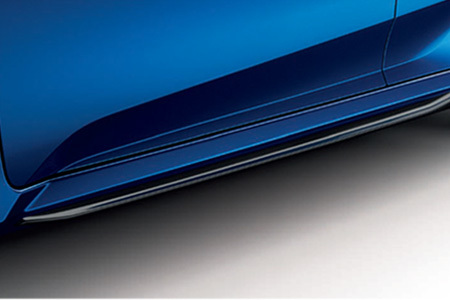 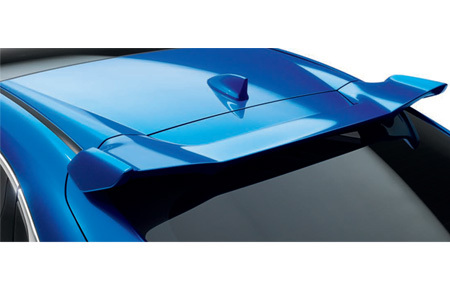 Sculpted side skirts accentuate your Civic’s dynamic proﬁle and ground hugging look. 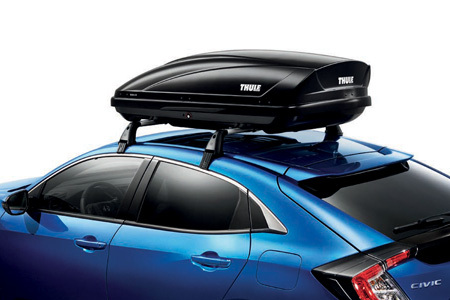 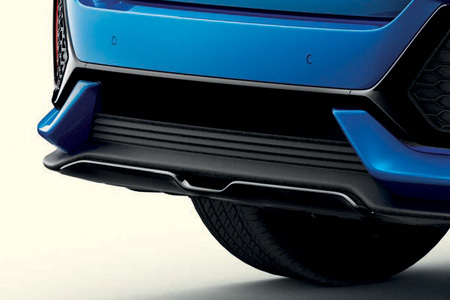 The sleek tailgate spoiler adds even more sporty style to the rear of your Civic. 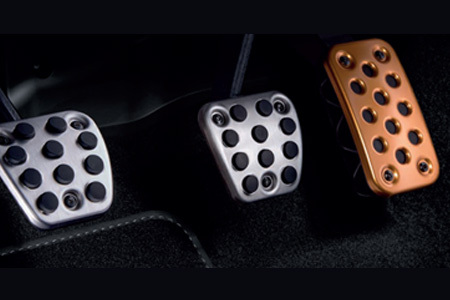 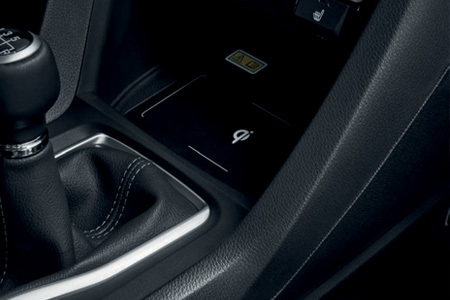 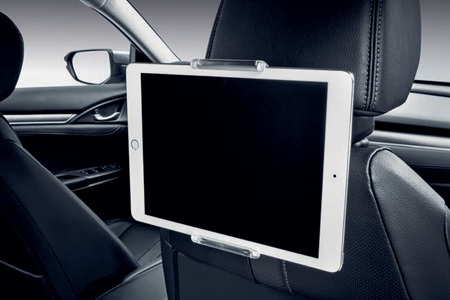 Aluminium sports pedals add a true sporting feel to the interior of your Civic. 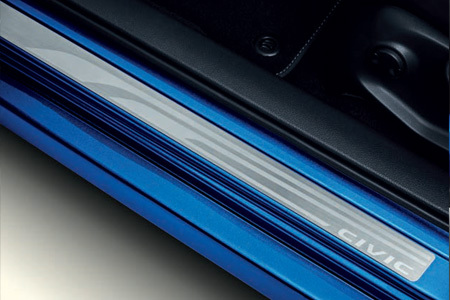 The 17" Cura features a diamond cut A-surface with shiny clearcoat, Gunpowder Black windows, full painted (Black Pearl) centre cap and a shiny chrome H-mark. 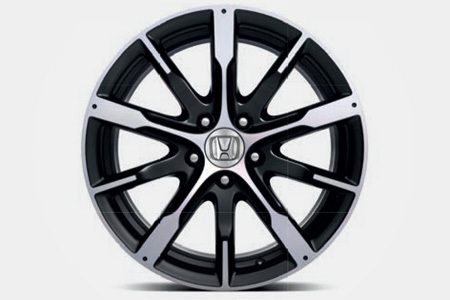 The 18" Apollon features a diamond cut A-surface with shiny clearcoat, Gunpowder Black windows, machined look centre cap and a shiny chrome H-mark. 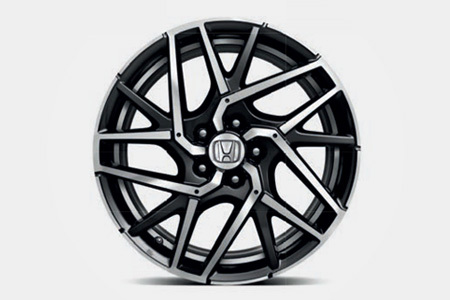 The 18" alloy wheel is finished with a diamond cut A-surface with shiny clearcoat, Gunpowder Black windows, machined look centre cap and a shiny chrome H-mark. 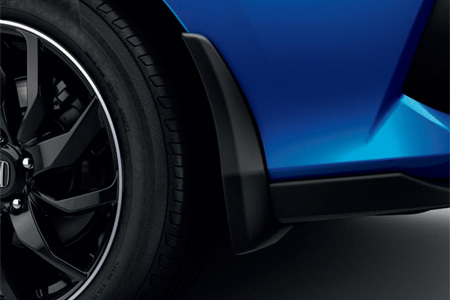 It also features a machined ring behind the spokes, which accentuates the size and depth of the wheels. 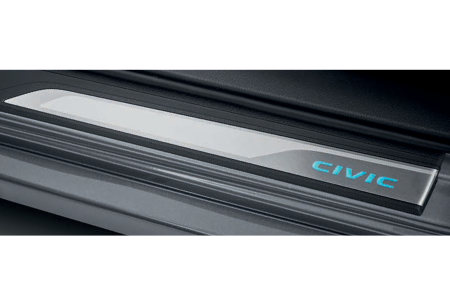 Tough, durable and help protect your Civic from dirt and stone chips. 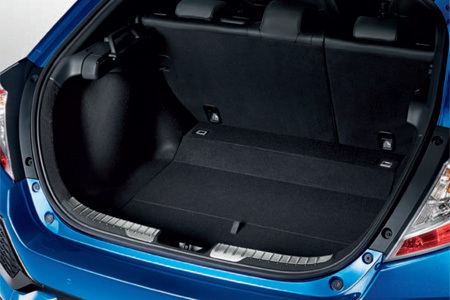 Added protection for the rear bumper when loading and unloading your boot. 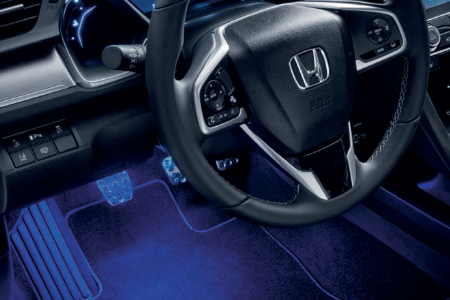 Tough, durable and help protect your Civic from dirt and scratches. 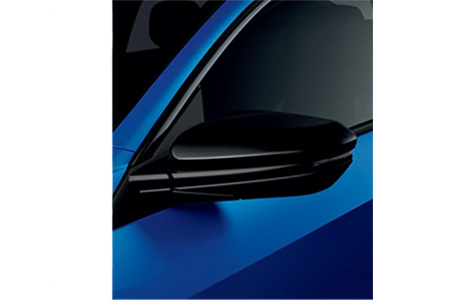 Emphasise the Civic’s dynamic shape and protect from minor scrapes and dents. 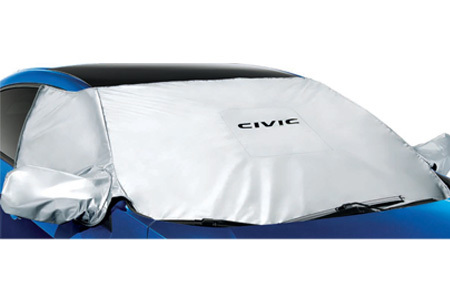 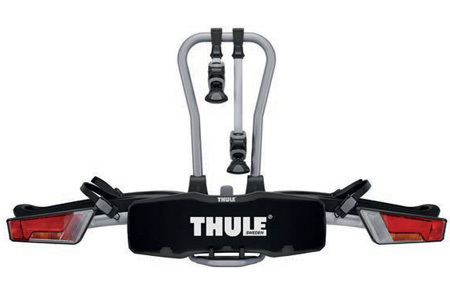 A shield against the elements, this windshield cover will protect the mirrors and front side windows from the heavy weather when your car is parked outside. 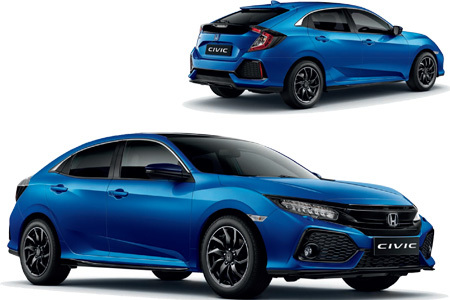 Features the Civic logo. 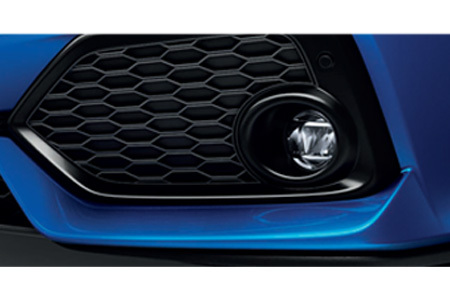 Powerful fog lights cut through poor visibility. 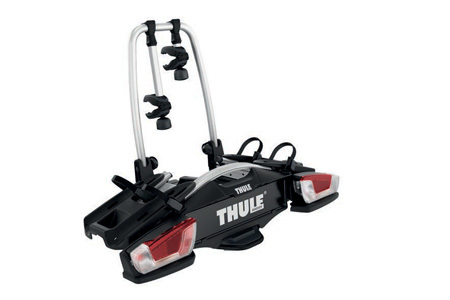 Available as LED and bulb type.